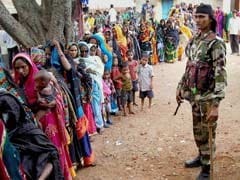 By-election in Ajmer and Alwar Lok Sabha and Mandalgarh Assembly constituencies will be held on January 29. Jaipur: BJP candidate Ramswaroop Lamba and Congress candidate Raghu Sharma today filed their nomination papers for the by-election to the Ajmer Lok Sabha constituency. The candidates were accompanied by senior leaders of their respective parties and supporters. Mr Lamba is the son of Sanwar Lal Jat, who represented the Ajmer Lok Sabha seat and died of cardiac arrest last year while Mr Sharma is a former Congress MLA. Bypolls in Ajmer and Alwar Lok Sabha and Mandalgarh Assembly constituencies will be held on January 29. Today is the last date for filing of nominations and scrutiny will take place tomorrow. The last date for withdrawal of nomination papers is January 15. 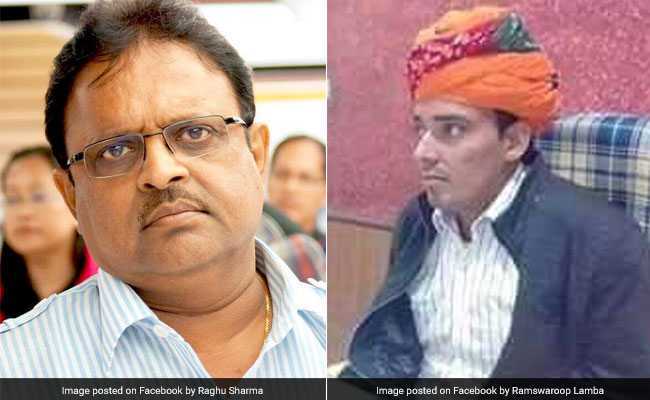 Ajmer and Alwar Lok Sabha constituencies and Mandalgarh assembly seat are going to bypoll due to the death of Ajmer lawmaker Sanwar Lal Jat, Alwar lawmaker Chand Nath and Mandalgarh MLA Kirti Kumari - all from BJP - last year.